We are open for business 7 days a week and open during most holidays. Our towing service is open late and we can pickup your junk cars even if they have no tires, or no keys! If you need specialized accomodations, please do not hesitate to call us or email directly at orlandojunk@gmail.com. We buy any type of junk or scrap vehicle and bring you cash on the spot. 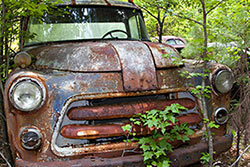 Get in gear with our main junk car buying specialists, wake up and smell the cash for junk cars people. We are open on weekdays, weekends and holidays so don't be shy. We buy cars, trucks, vans, suvs, buses, limousines, tractors, aluminum box trucks, step vans, old vehicles and more. We are not buying any motorcycles or mopeds.